WITH Fermanagh police receiving a domestic abuse call roughly every three hours, there have been urgent calls for a new law to protect victims to be brought in as soon as possible. 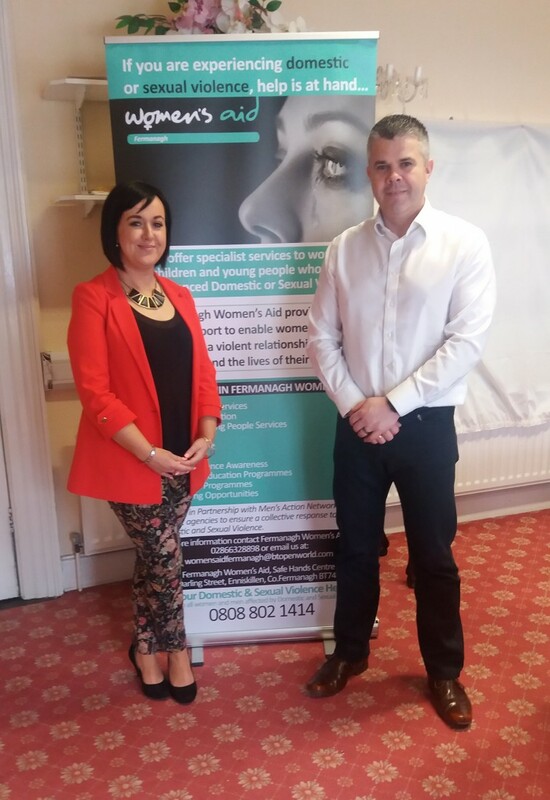 Last week Fermanagh Women’s Aid (FWA) organised a phenomenally successful conference in Enniskillen aimed and raising awareness on coercive control. The conference was the latest collaboration in an ever-growing relationship between Womens Aid and the local police, who have been working extremely closely together in recent times. Speaking to the Herald afterwards, Michelle Alonso training coordinator at FWA, said they had been “overwhelmed” with the response they’d had since the conference, from all sectors. She said a new law was desperately needed, similar to that introduced in England and Wales. A law that could be passed by the Home Office, and has full cross-party political support here. Ms Alonso, who runs training with everyone from hairdressers to social workers to councillors, explained coercive control was the “underpinning element of domestic violence”, and often even women living with it wouldn’t realise as most believe domestic abuse is only violent and physical. “Coercive control would be where it’s very subtle. It’s mind games, it’s manipulation,” she said, adding many women didn’t believe they’d been a victim of coercive control if there had been no violence. Supt Clive Beatty, district commander, said the local PSNI had been working closely with FWA, with over a third of local officers already going through training. He said while the training had helped enormously with dealing with acts of domestic violence, it has also helped increase officers’ awareness of coercive control, which had been in turn helping victims.